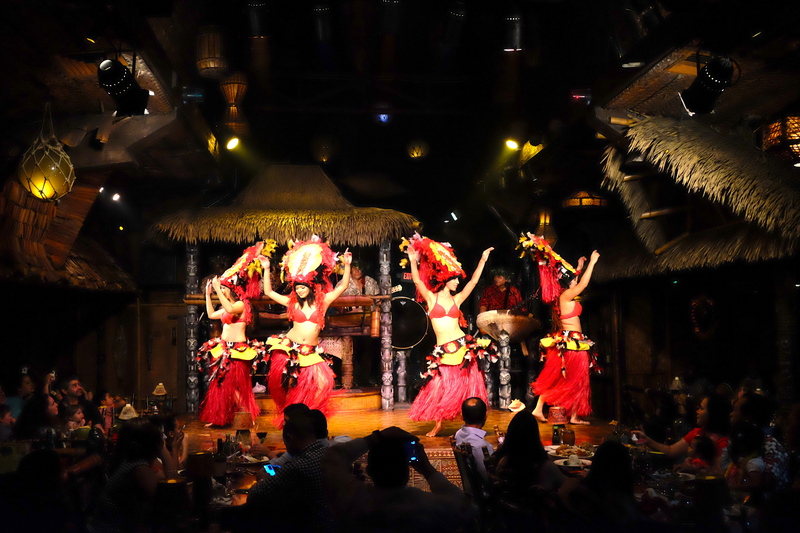 The title of this post is what I often like to do in my spare time (dancing and eating being among the best of all the things), but on this night we drove to Fort Lauderdale to the famous Mai-Kai Restaurant to watch some Polynesian dancers do their thing. 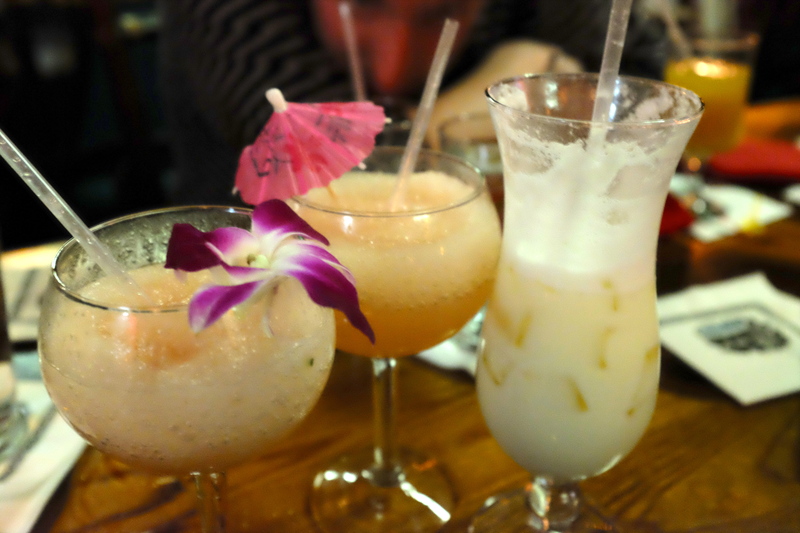 And – crucially, according to my friend Nicole – there were many, many rum drinks to suit every occasion. I had a glowing recommendation for this place, so we took our parents here as their Christmas present (being those types who subscribe to the philosophy of the experiential gift trumping the substantial one). 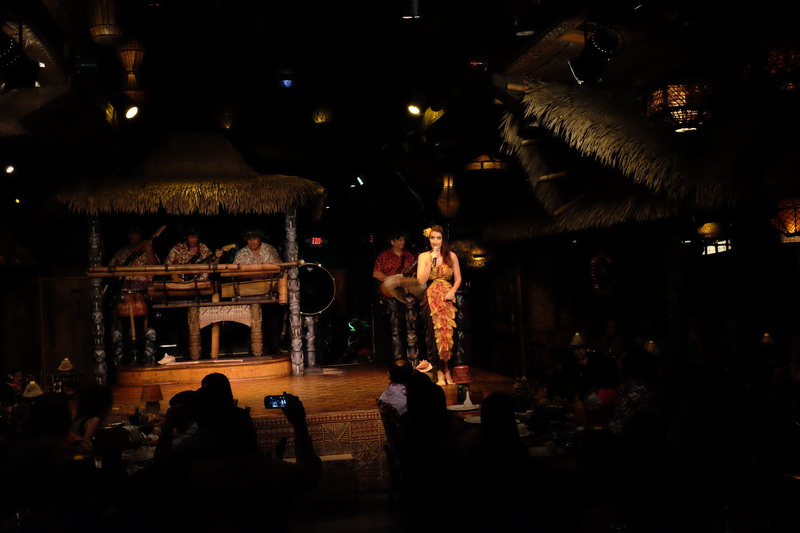 The food was good – I think we all had a combination of Southeast Asian food and some kind of rum drink. Our waiter was even better – he thought it was his personal mission to entertain us even more than the entertainment scheduled for the evening. And he gave me a flower for my hair, so I have a soft spot for him despite the terrible puns. The other guests were incredible – septuagenarian couples who were sharing a seafood platter and watching the dancers, and families of 12 or more who brought their own cake for a birthday, and couples in the midst of celebrating their first anniversary or their 40th. I liked the vibe. 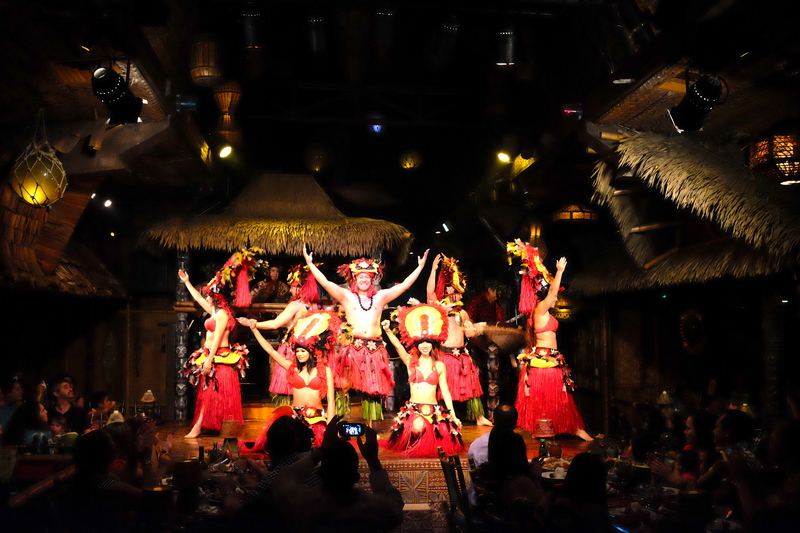 But the best part of the evening was the performance – the history of Polynesian islands and the traditional dancing that accompanied the stories. 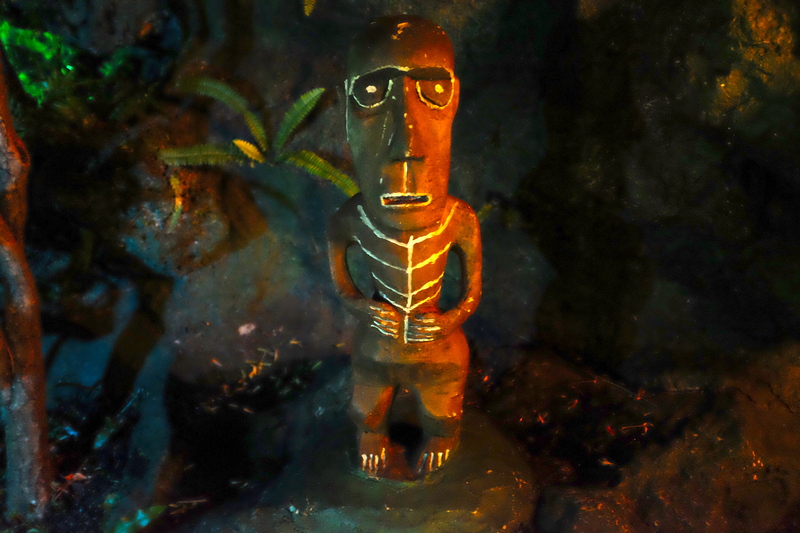 The narrator told us a little of the meaning behind the dance, and which island it represented. I retained none of the details, naturally (thanks, rum and sunstroke! ), but the overall atmosphere of this place sticks with me. My photos don’t really capture how beautiful they all were – and I was too terrified during the traditional fire dances to take any photos at all, for fear of the flash ruining someone’s concentration and causing all of the dried palm fronds to burst into flames. But they had beautiful, intricate costumes for every number, and there was much fire and drumming. You can see the band at the back of the stage in that photo above. 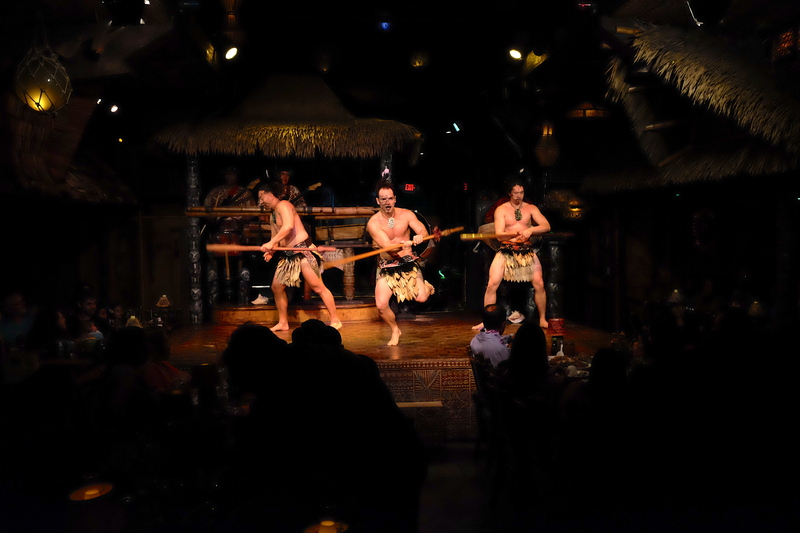 This was one of several dances that featured just the three male performers as warriors – spears at the ready. This was a wedding dance, a slow sweeping of arms and gentle poses. These red and gold costumes were by far the best – I mean, just look at those headdresses. I’d totally wear one of these in the middle of summer if I could pull off that kind of look. This was also their finale, so I tried to get everyone in. 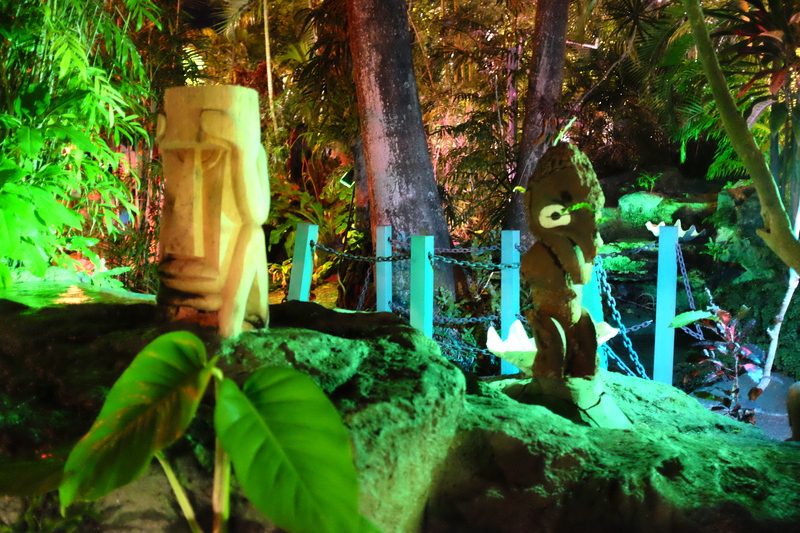 After the show, we went for a walk by the waterfall in the garden behind the restaurant – a surprisingly lush tropical spot that seemed a little out of place in the midst of those infinite sprawling parking lots and strip malls. 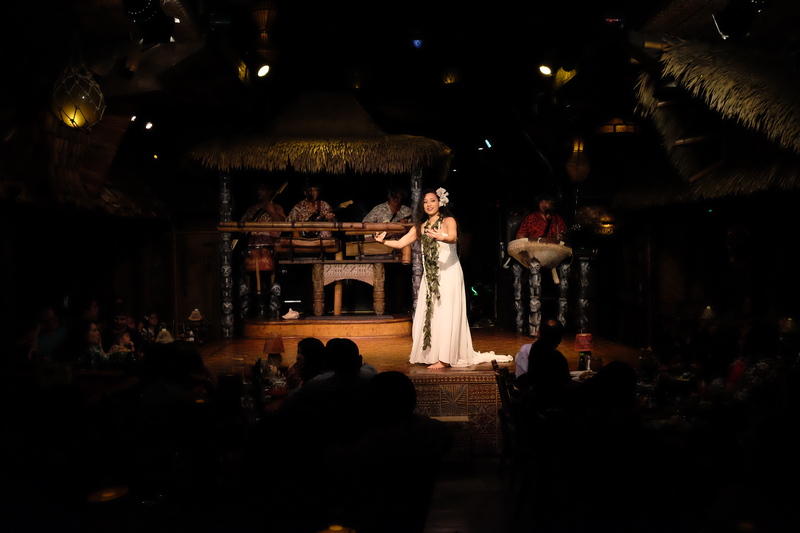 Mai-Kai is definitely worth a visit if you like tikis and fish and rum!